Certificates are awarded to individuals or groups who have performed a task or completed a program astoundingly enough to be recognized. 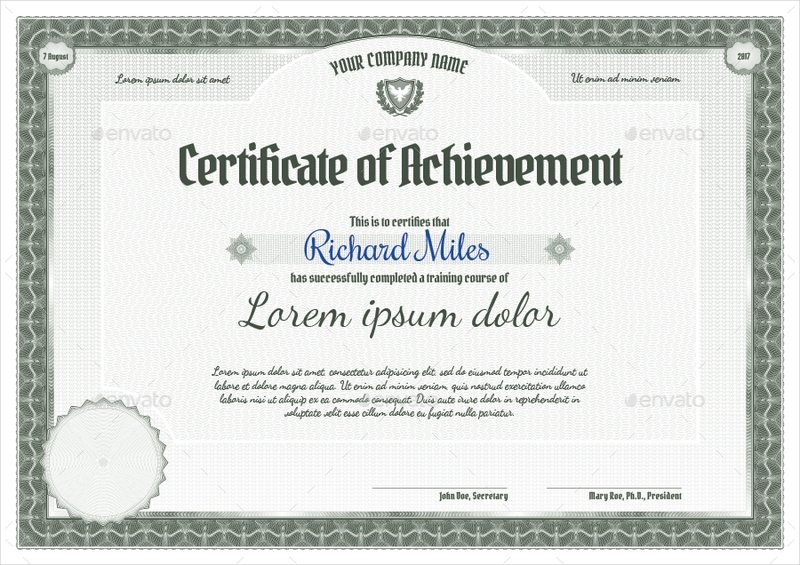 Depending on its context, a certificate may be created for various things. These are often produced to express gratitude and value to those who deserve it the most. Certificates are highly utilized in different settings. These serve as a thoughtful means of making employees feel appreciated for all the work they have exerted to help the company prosper. But the work of modern certificates goes beyond the walls of a corporate environment, as students may use these certificates to prove their skills and capabilities to college recruiters as well. The certificates that are considered to be the fruit of one’s labor are referred to as achievement certificates. 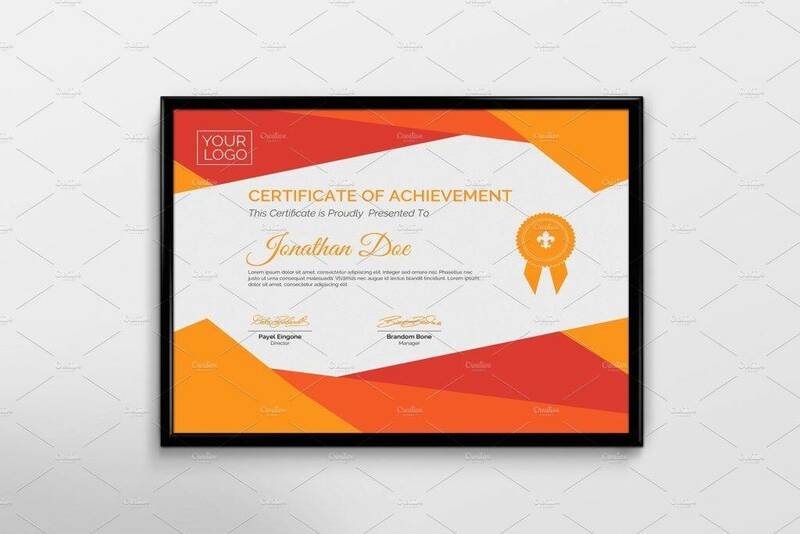 A certificate of achievement acknowledges an entity’s accomplishments, whether this constitutes to one’s short-term goals or long-term performance. Unlike a certificate of completion, this type of certificate simply signifies a milestone reached while in the process of completion. For example, a child can receive an award for “Best Team Leader” at a summer camp, even if the program hasn’t ended yet. It is used to encourage hard work and recognize one’s efforts in the educational atmosphere or workplace. For most people, this serves as a visual representation of the time and energy spent to achieve something that matters to them. 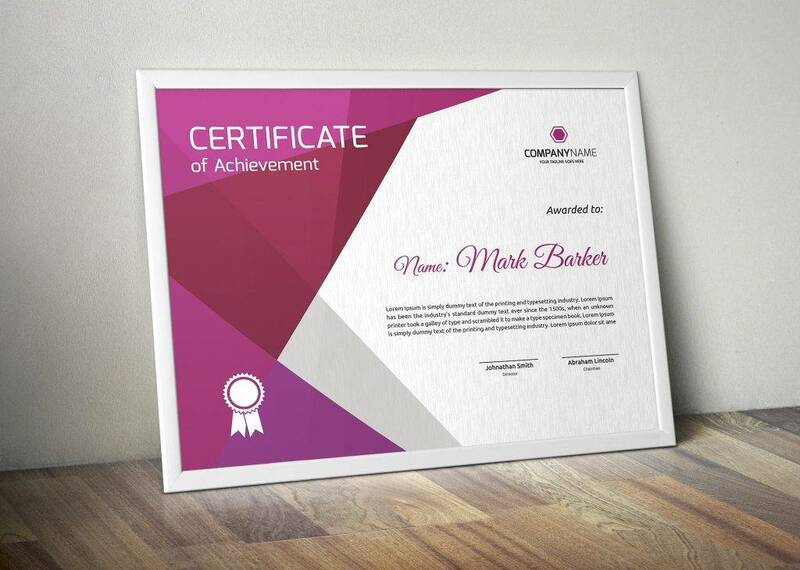 Whether you’re making an award certificate or an achievement certificate, a certificate that provides recognition towards an individual or group is typically composed of several sections. 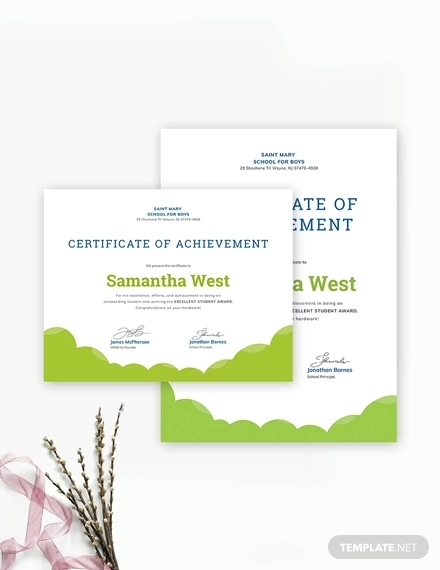 Though a title and recipient line may be the only sections necessary, there are a couple of sections that can help make a certificate look polished and professional. The title or heading of a certificate specifies the reason behind the recognition. It could either have the phrase “Certificate of” or “Award” added as a prefix or suffix of the title, depending on the recognition given. This text is usually presented in a straight or curved manner and is often larger in size from the rest of the text. In most cases, this text follows an Old English font type to provide emphasis and class to the heading. Following the title is a phrase that may come in variations. It’s pretty clear that this section of the certificate does exactly what it sounds like; it presents the given award to the awardee. This can come in different wordings, just as long as it leads to the introduction of the recipient’s name. This line may also be a combination of the title and presentation line where the phrase, “This certificate is presented to” may take the place of the standard wording. It’s easy to see why the recipient section is one of the most important parts of a certificate. For one thing, what’s the point of creating a certificate without indicating the individual or entity it is specially made for? In this section, the recipient’s name is typically emphasized using various text elements. This may either come in a bold or italicized text to set itself apart from other sections found on the certificate. You may also use a different font style or decorative text for this. And along with the title and presentation line, the recipient section must also be centered on the certificate. 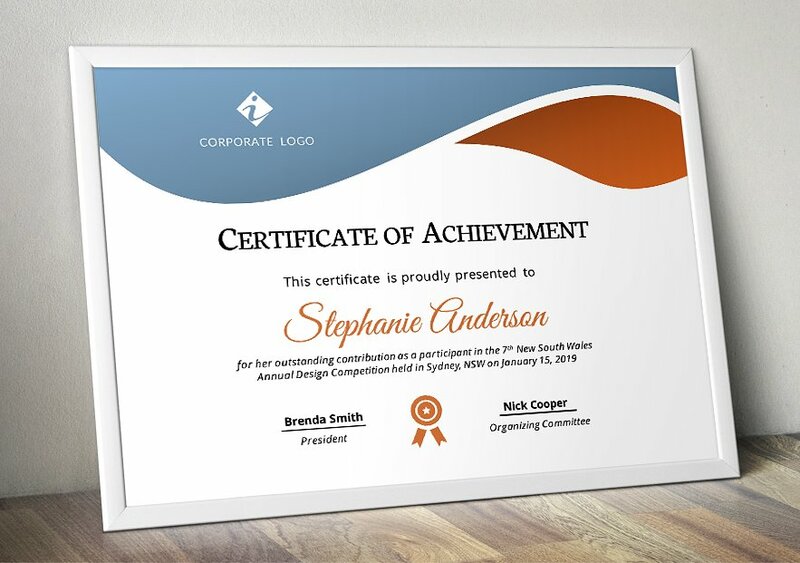 While most certificates simply use a company logo for this, there are some certificates that consist of a line that indicates who the award is from. It could be the name of the individual, company, organization, or any entity responsible for giving the award. A short, descriptive paragraph that explains the reason why a person or group is given the certificate is entirely optional, yet it still plays a significant role nonetheless. There are many reasons why an individual may be eligible for a certificate and sometimes it can be too broad for one to grasp, especially when these are presented for different accomplishments. This text can consist of a word or two, or even a full paragraph explaining why a recipient earned the certificate. However, you must keep it concise. Try not to go beyond three lines, as this can take up too much space on your certificate. When it comes to dates on certificates, there’s no specific format to follow. The date typically indicates when the certificate was awarded to the recipient. 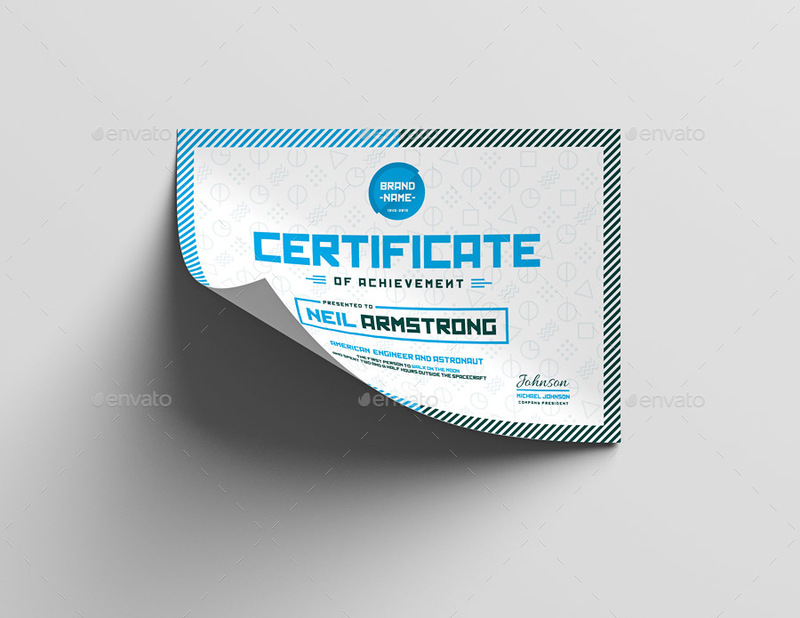 This section may either come before or after a description, depending on personal preference or the overall structure of your layout.You may also see the Certificate Examples in Word. If there’s one thing that proves the legitimacy of a certificate, it has to be the signature. The name of the individual is usually printed beneath the signature before it is actually signed. Some certificates may be composed of two signatures, such as that of the human resource manager along with the department head. If you decide on adding a company seal to your certificate, you can always position it at the lower corner of the page. The signature line must be adjusted accordingly to maintain visual balance as well. 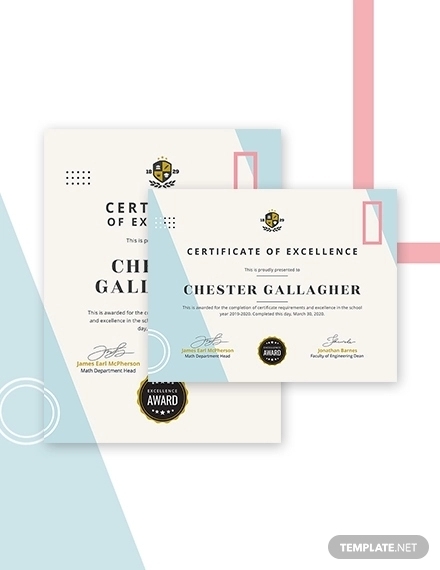 While there are no specific rules when it comes to designing a certificate, there are still a few guidelines that designers can take note of. Keep in mind that a certificate is nothing more than a piece of paper until it’s not. 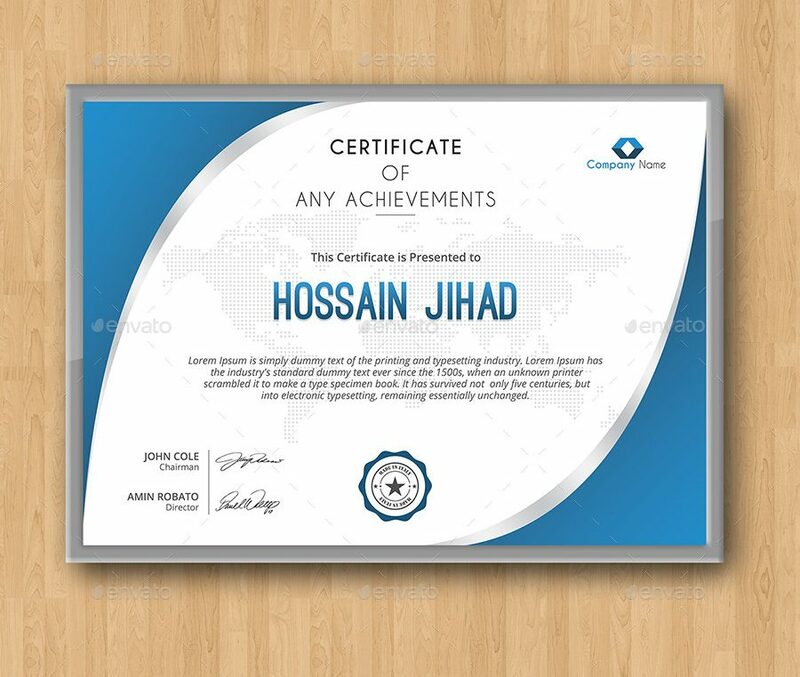 But in order to successfully attain a professional training certificate, you need to design one that people can proudly display. Choose the right paper stock. When creating a certificate, pay attention to the type of paper the certificate will be printed on. You want a recipient to feel valued, so the quality of the material you are using should also be of value. 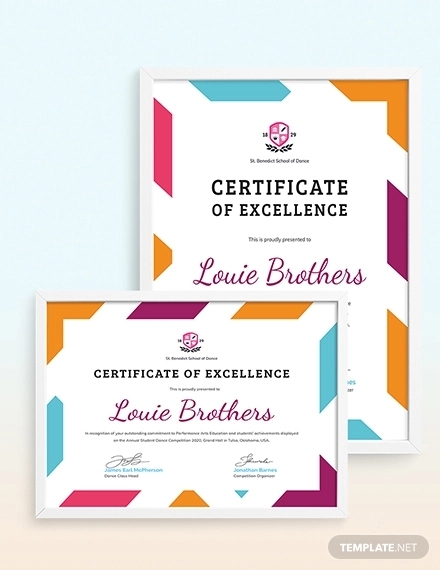 This can be achieved by using a heavier paper stock that can make the certificate more durable compared to those made from lightweight paper. Keep it neat and clean. One important rule to follow in design is to avoid a cluttered layout. Like a gift certificate, you need to organize every detail accordingly. It’s easy to get carried away, especially when you want to fit as much information as possible into a given space. Instead of piling every text and design element into a single area, use these sparingly. It’s always good to leave enough white space in between words and sections to create a proper balance. Select a proper color scheme. Color is a major factor to consider when designing a certificate. For starters, your color scheme should be in line with your purpose. 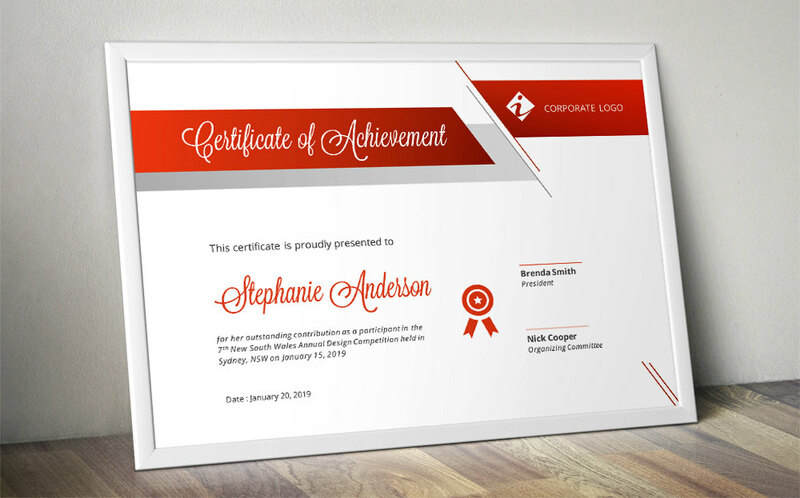 A professional workplace certificate should be decorated with monochromatic or neutral colors. You may even choose the company colors for good corporate branding. 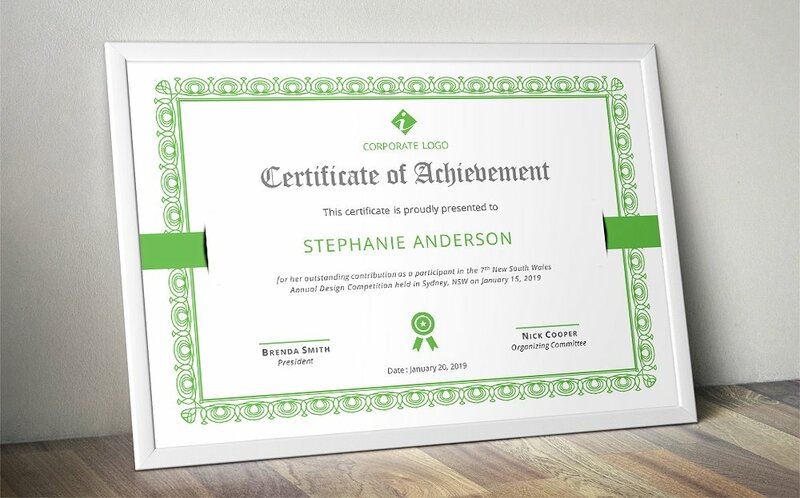 Stay away from bright or neon colors that can distract the eyes, as this will only make a certificate look goofy and immature. Don’t use too many fonts. Most designers like to follow a three-font rule for this. It’s a safe option, considering how too much fonts isn’t exactly pleasing to look at. The font style, size, and color may also affect the readability of the text, so you must experiment with these elements as well. Always proofread. Misspelled words and grammatical errors are some of the worst but seemingly common mistakes that designers commit. Imagine if you get an award as employee of the year, yet your employers still fail to spell your name right. Not only is it extremely insulting, but it can also make the certificate lose its essence. 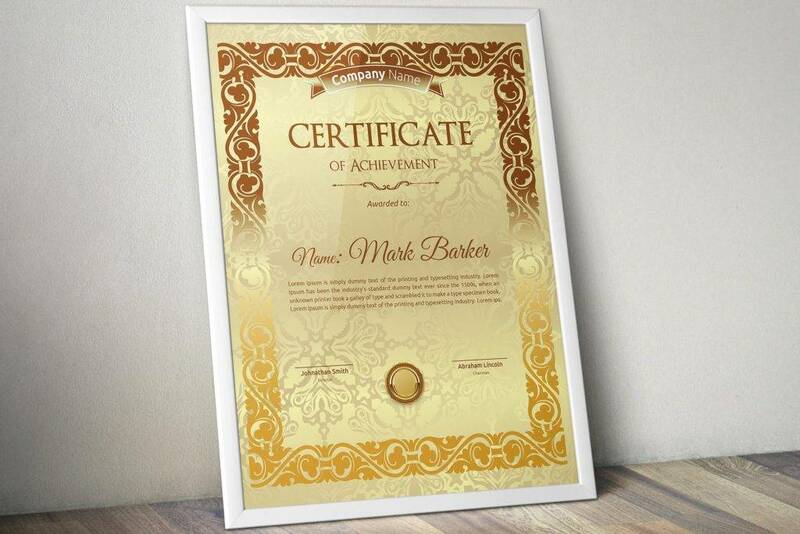 Should you have any doubts about your certificate design, do not hesitate to ask another pair of eyes to check it for you. 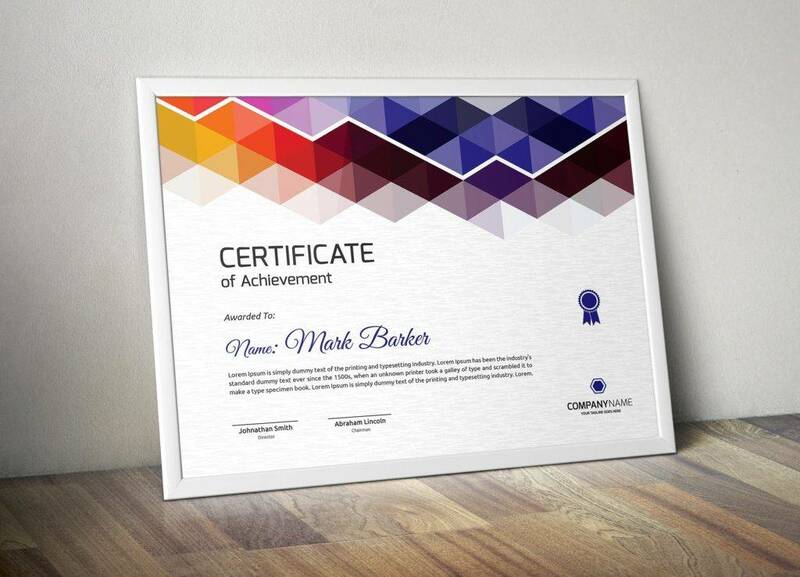 Using an achievement certificate is a cost-effective and impactful approach in acknowledging one’s efforts. But to make a person feel valued, you need to keep your certificate as professional as possible. 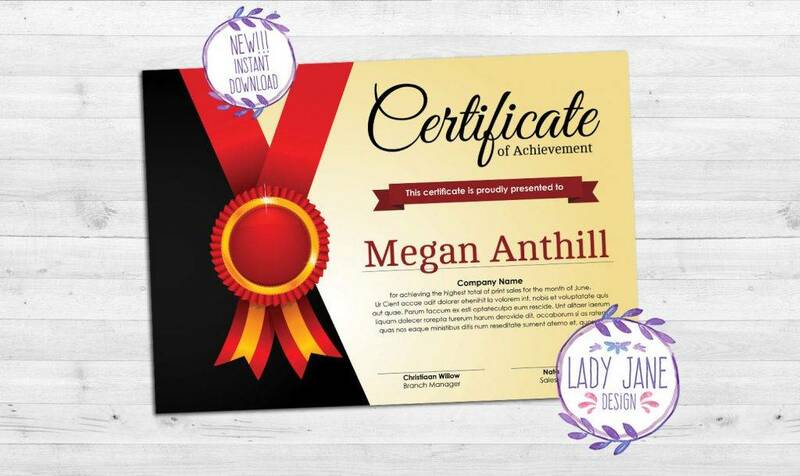 As a designer, it’s important to focus on making a certificate design that portrays both class and dignity. What Is an Academic Certificate?